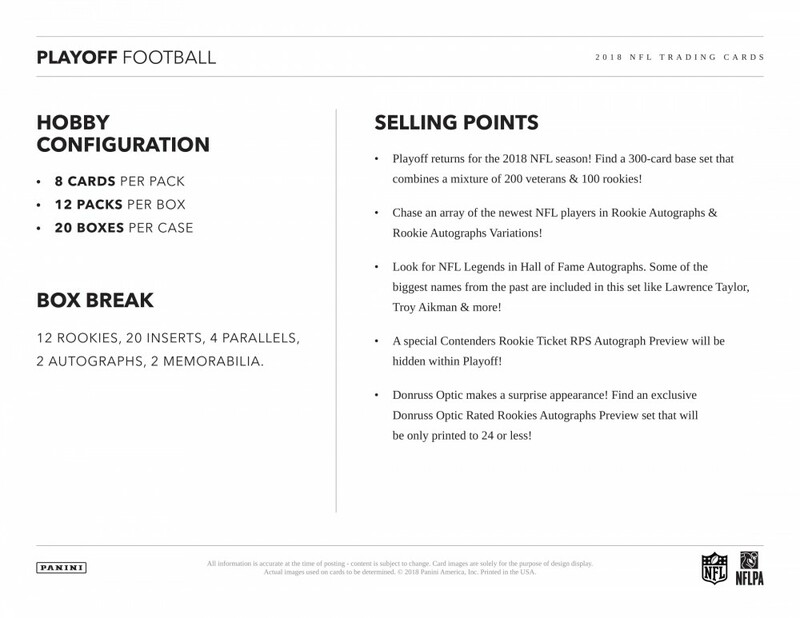 Each Box contains 2 Autographs & 2 Memorabilia Cards! Each 2018 Panini Playoff Football Hobby Box contains 2 Autographs, 2 Memorabilia, 12 Rookies, 20 Inserts and 4 Parallels! Playoff returns for the 2018 NFL season! 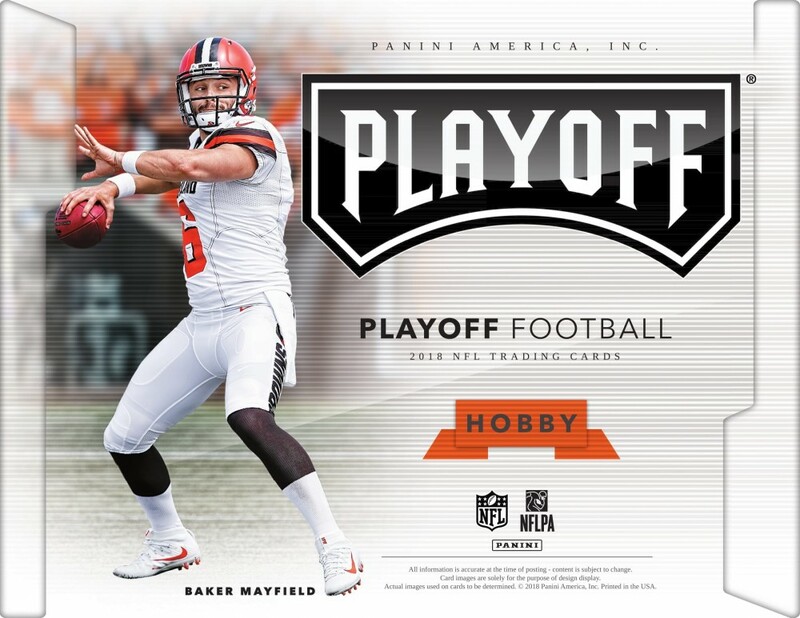 Find a 300-card base set that combines a mixture of 200 veterans & 100 rookies! 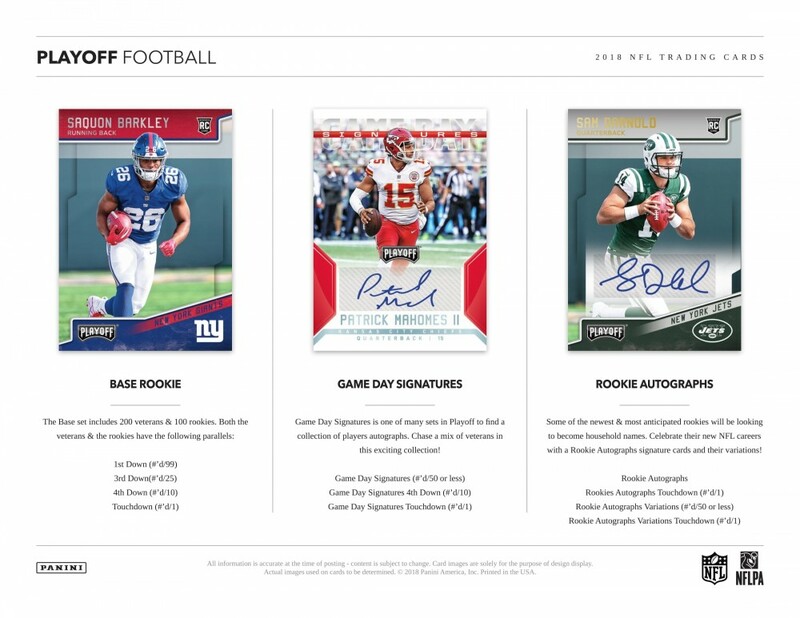 Chase an array of the newest NFL players in Rookie Autographs & Rookie Autographs Variations! 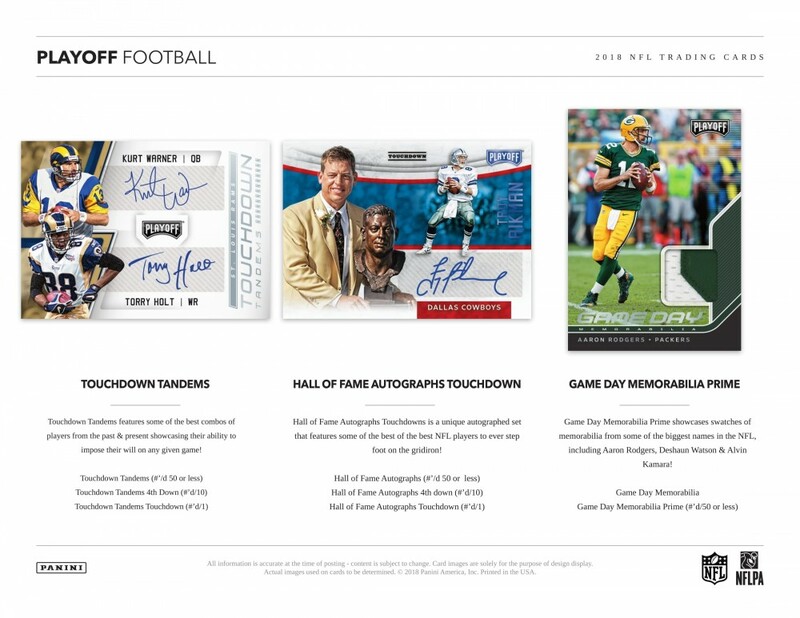 Look for NFL Legends in Hall of Fame Autographs. Some of the biggest names from the past are included in this set like Lawrence Taylor, Troy Aikman & more! 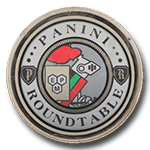 A special Contenders Rookie Ticket RPS Autograph Preview will be hidden within Playoff! Donruss Optic makes a surprise appearance! 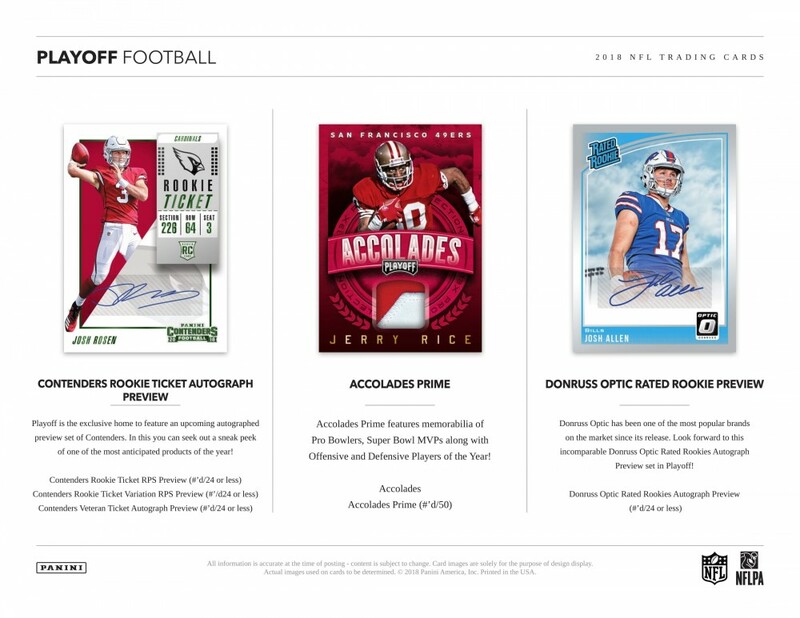 Find an exclusive Donruss Optic Rated Rookies Autographs Preview set that will be only printed to 24 or less!